We look forward to showing you our bar menu, and we thank you for bearing with us as we compile images and information about our selection of scrumptious meals. Please visit this section again soon so you can see our list of delectable dishes and refreshing concoctions. In the meantime, feel free to browse through the other pages of our website to learn more about our food and drink options. 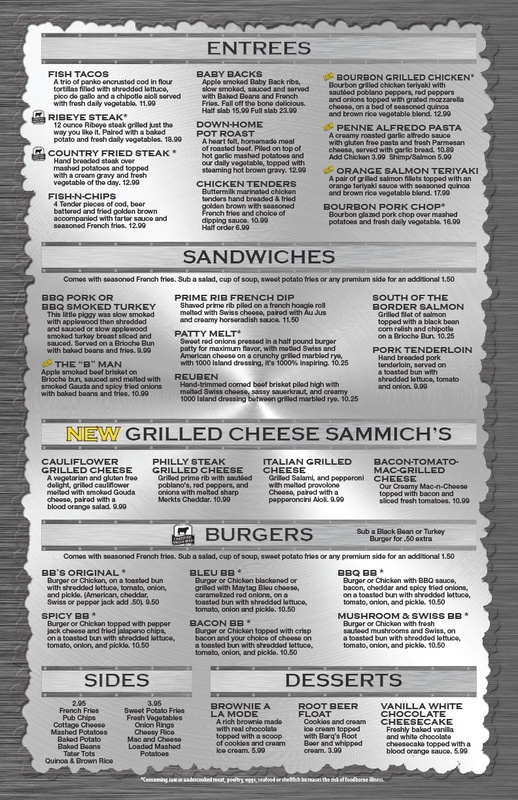 BBS Grill and Bar serves irresistible food and beverages to customers in Spring Hill and Olathe, KS. Our bar staff ensures that each plate is prepared and served carefully to every guest. Give our chicken wings and burgers a try to see why loyal patrons have been coming back for more. 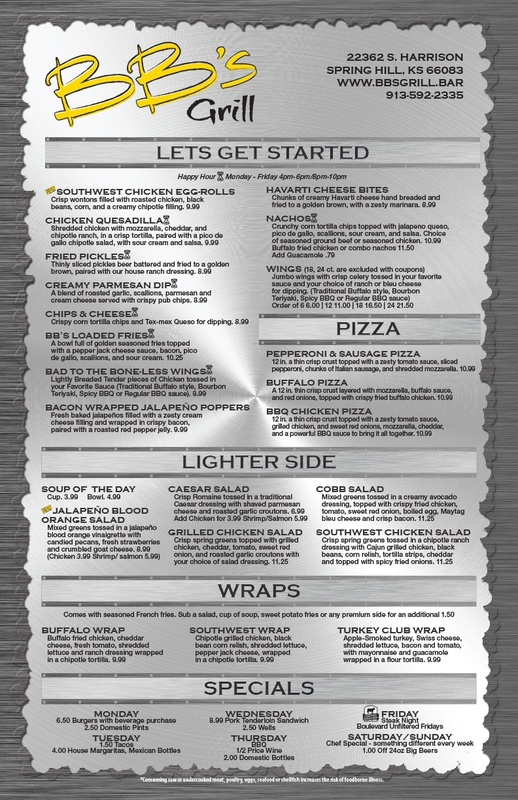 View our restaurant menu below. Invite your family and friends and enjoy a wonderful dining experience at BBS Grill and Bar. Our cooks and staff are passionate about providing our customers with exceptional meals and service they deserve. Come and visit our grill and bar in Spring Hill or Olathe, KS today. We look forward to serving you!